It’s an elusive question: What’s the best way to lose weight? This top-level view: Create a healthy eating plan and exercise program that suits your preferences and needs, and skip fad diets. Best way to lose weight? This chart illustrated the basics. If you’re overweight or obese, you probably don’t need to hear it, but weight loss is your key to better health. Carrying extra weight increases your risk of heart problems, diabetes, and joint pain and damage, and it has been linked with a higher incidence of breast cancer. So, what’s the best way to lose weight? 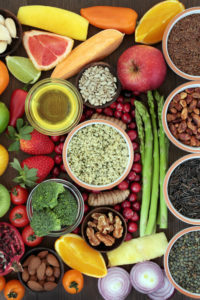 There is no weight-loss plan that fits everyone’s needs, and you may need to try—or have already tried—multiple different approaches in search of a plan that works best for you. 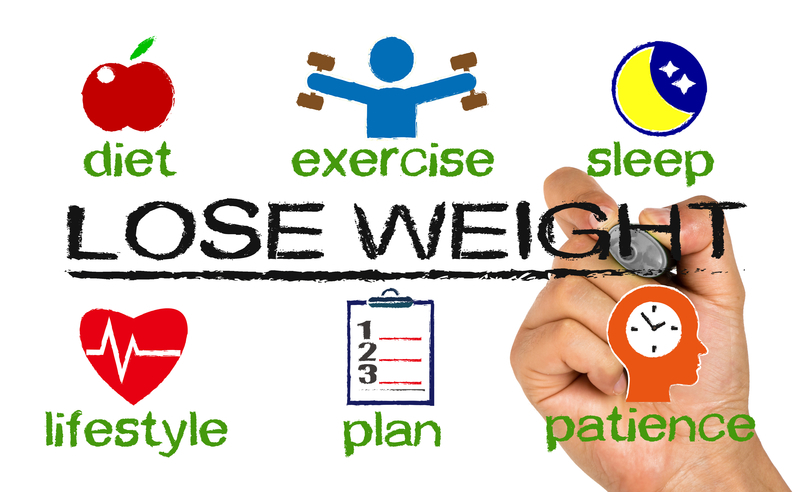 Here are some basic weight-loss strategies that have helped many people achieve their goals. 1. Understand that weight loss is a process. A sensible diet and exercise plan that you can follow for several months will help you shed pounds safely and gradually. Studies suggest that steady weight loss of this kind is more sustainable than the rapid weight loss that results from fad diets, which often are followed by rebound weight gain. Eventually, your healthier eating habits will become part of your routine, and you will have created a healthier lifestyle for yourself. Eat protein for breakfast. Try an egg white omelet, yogurt, or cottage cheese. Protein helps to fill you up and can prevent overindulging later in the day. Start your meals with vegetables or a salad. Eat these at the beginning so that you fill up on the healthier foods that are high in nutrition. This can help prevent you from overeating the less healthy, higher-calorie, and more fattening foods. Eat high-fiber foods to help you feel full. High-fiber foods include whole grains such as whole wheat, oats, barley, buckwheat, and brown and wild rice. Many fruits and vegetables also are good sources of fiber. 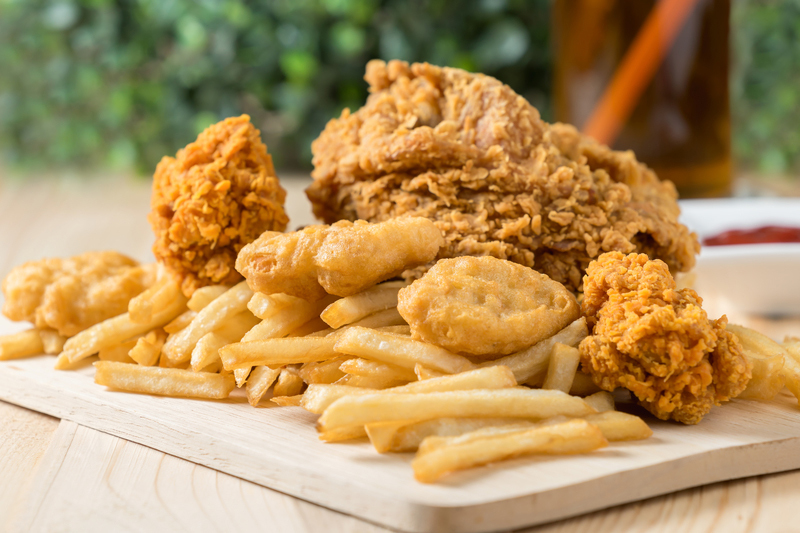 Don’t walk—run away from fried foods. They can be hard to resist, but the best way to lose weight involves willpower when it comes to unhealthy food choices. 3. Be conscious of—and vigilant about—the foods to avoid. 4. At the same time, be realistic. If you—like most people—have favorite foods that are counterproductive to weight loss, attempting to cut them out of your diet completely may not be realistic. Again, the best way to lose weight depends on what works for you. Designating a “cheat day” once a week gives you something to look forward to and can help you stay on track for the rest of the week. It also means that you don’t have to feel guilty when you have that bowl of ice cream or those chicken wings; just don’t go overboard on cheat day, or it will be more difficult to return to your healthy eating plan. 5. Get moving and stay moving. Try to engage in some kind of moderate-intensity exercise (brisk walking, for example) for 30 minutes most days of the week. If 30 minutes is too much for you, begin with one or two 10-minute sessions a day and work your way up. If you already exercise regularly, increase your time and/or the intensity of your activities to burn more calories. If you hate to exercise, then the best way to lose weight for you may be based solely on changing your diet. However, you’re likely to see positive results more quickly if you exercise—and physical activity also provides a host of health benefits in addition to its role in weight loss. Making your intentions known to others can be a powerful tool; for some people, the best way to lose weight is with a family member or friend. Chances are that you aren’t the only member of your family who needs to lose weight. Talk to your family and friends about making a commitment to lose weight together. Other people can help keep you motivated. best way to lose weight, breakfast, breast cancer, calories, cancer, coffee, diabetes, diabetes and joint pain, diet, eating habits, energy drinks, exercise, exercise plan, fiber, food, foods to avoid, health, healthy eating, healthy eating plan, heart problems, how to lose weight, how to lose weight while sleeping, increases your risk, joint pain, Lose Weight, nutrition, overeating, pain, physical activity, processed foods, protein, refined grains, sources of fiber, sugar, vegetables, weight gain, weight loss plan, weight loss tips, which exercise is best for weight loss, whole grains, whole wheat, yogurt. thanks for sharing this informative article this article is too relevant for me and the way you tell us about Best Way to Lose Weight is impressive keep posting these type of posts. I liked that you pointed out that I should stay away from soft drinks if I want to lose weight. That is good for me to know because I want to lose weight before my sister’s wedding. It might be smart for me to talk to a doctor about how to lose weight safely.